Looking for a job in Tazewell County Illinois? 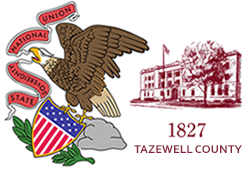 This Tazewell County Illinois job guide is a resource for job seekers looking for legitimate employment opportunities in the region with an emphasis on government positions, top healthcare employers, public school careers, and major job boards. Tazewell County Illinois periodically posts job openings. Open positions found on this review date had included EMA Program Assistant , Intern and Maintenance Lead Technician, Correctional Officer, and Jail Clerk. Periodically there are open positions such as Probation - Court Services employment and positions in other departments. Check for updates. The City of East Peoria is a good resource for monitor for opportunities. During review there were open positions available for Police/Fire Telecommunicator and Group Exercise Instructors. Check their site for current listings. The Village of Morton employs 85 full-time employees that perform various functions within the Village. The City of Pekin was hiring for the position of Project Engineer on this review date. Visit their site for current listings. The City of Washington had job openings for Chief of Police, Management Analyst, and Part-time Laborer. Washington has a proud reputation as a vibrant community offering a high quality of life supported by excellent schools, safe neighborhoods, and diverse parks and recreation. OSF HealthCare offers a comprehensive array of heart and vascular services, providing the best in clinical practices and technology. During review there were open positions available for Registered Nurse RN Non-Invasive Diagnostic Cardiology - Electrocardiology - Peoria, Echosonographer, and Clinical Dietitian. Pekin Hospital - UnityPoint Health Pekin tends to have a high volume of ongoing career opportunies. During review there had been job openings for CT Technologist, ER Registration, General Maintenance HVAC Mechanic, Housekeeper, PSC Front Desk Coder, Registered Nurse RN ER, Registered Nurse RN Critical Care Unit, CCU Nurse RN, Switchboard Operator, ER Special Registry RN, EVS Charge, Medical Staff Intern, Nuclear Medicine Technologist, Nurse Manager, PSC Tech - Phlebotomist, Radiology Technologist, Registered Echo Tech, Registered Nurse RN ER, Emergency Room Nursing Jobs, RN Intermediate Care, Pediatric Nurse RN, Registered Nurse RN Surgical Unit, RN New Graduate, Supply Technician, and Surgical Technologist. Family Quick Care is always recruiting energetic and compassionate Nurse Practitioners and Physician Assistants to staff future locations within Central Illinois. Positions are part-time to full time, flexible hours, with some evenings or weekends. Prior primary care experience a plus. Competitive salary, and very appreciative patients. Five Star Senior Living has locations throughout Tazewell County. This survey revealed the following jobs Resident Assistant CNA, Certified Nursing Aide, Maintenance Director, Waiter / Server, and Life Style 360 Program Director job. Creve Coeur School District 76 posts job openings on their home page under announcements. Deer Creek-Mackinaw Community Unit School District 701 hires for certified and non-certified positions. Some jobs found had included Art Teacher, High School Special Education Teacher, Dance Coach, and Wrestling Coach. East Peoria Community High School District 309 was hiring Assistant Football Coaches, Bus Drivers / Bus Monitors, Substitute Cafeteria Worker, Full-Time 1/2 Science-1/2 Math Teacher, Substitute Custodian, 2nd Shift Custodial / Maintenance Supervisor, Guidance Counselor, Substitute Nurse, Substitute Teacher, Study Hall Supervisor, and Teaching Assistant Substitute. East Peoria School District 86 was hiring. Jobs found had included Certified Medical Assistant (CMA), School Bus Monitor, School Bus Driver, School Psychologist (Part time applicants will be considered), School Social Worker, School Counselor, 4th Grade Classroom Teacher, CJHS Math Teacher, Substitute teachers for K-8, cooks K-8, Aides/Clerical Workers K-8. Morton Community Unit School District 709 had open positions such as Volleyball Coach, Homework Club Teacher, 6th Grade Teacher, Part Time Business Teacher, Part Time Family and Consumer Science Teacher, Full Time 3rd Shift Custodian, Part Time Speech Language Pathologist, Substitute Bus Aide, Clerical Aide, Substitute Instructional Aide, Sub Crossing Guard, Substitute Teacher, Crossing Guard, Part Time Special Education Instructional Aide, ELL District Aide, MPTV Videographer, and more. North Pekin & Marquette Heights School District 102 periodically posts certified and non-certified support staff positions. Pekin Community High School District 303 had open positions on this review date. Visit their employment portal for current listings. Pekin Public School District 108 was hiring. Jobs found had included School Psychologist, Language Arts Teacher, Intermediate Classroom Teachers, Special Education - ED Teacher, School Social Worker, Substitute Special Education Paraprofessionals, and various extra-curricular coaching positions. Tazewell-Mason Special Education offers positions such as Behavior Specialist, Special Education Teacher, Speech / Language Pathologist, Occupational Therapist, Teacher of the Deaf & Hard of Hearing, Paraprofessional, and Receptionist / Secretary. Tremont Community Unit School District 702 had open positions for Full-time High School General Education / Special Education Aide and High School Social Studies Teacher. Washington Community High School District 308 had employment opportunities. Positions found included Academic Assessment Coordinator, Assistant Coach - Football, HS Art Instructor, HS Business / Technology Instructor, Assistant Coach Volleyball, School Psychologist, School Social Worker, and Cafeteria Sub. Washington School District 52 had employment listings for Afternoon Bus Driver, ELL English Language Learning Teacher, and more. St. Joseph in Pekin has teacher applications. Eureka College posts faculty and support staff positions as vacancies become available. The East Peoria Chamber of Commerce is a good resource for exploring area employers by using their member directory. They also maintain a small job board. You can visit various Chamber of Commerce links to find area businesses. Monitor the State of Illinois web-based electronic hiring system for job openings in Tazewell County.